Is Turkey considering re-entering Eurovision 2018 after 5 years of absence? "Deputy Prime Minister Bozdağ: No Eurovision Song Contest"
Turkey's Deputy Prime Minister and Government Spokesman, Bekir Bozdağ, announced after a visit to TRT (the Turkish broadcaster) that Turkey is NOT returning to Eurovision. The statement was also published on TRT's Twitter, but was withdrawn shortly after. 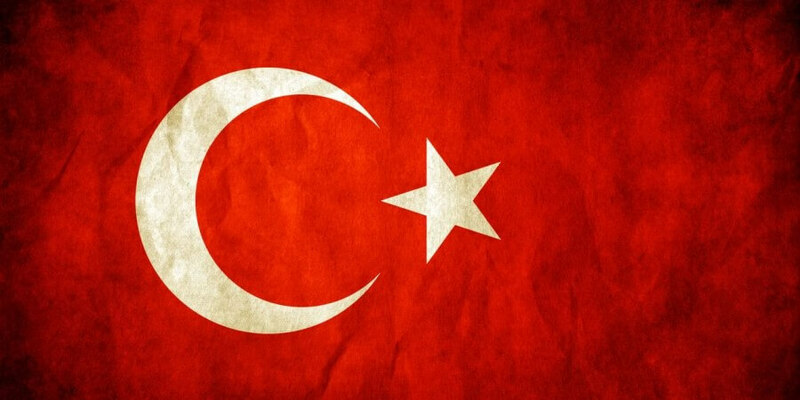 Turkey debuted in Eurovision Song Contest in 1975. It's last appearance in Eurovision was in 2012 after their disapproval with the voting system and the automatic qualification of the Big 5 countries ( France, Germany, Italy, Spain and United Kingdom). "I hope my beautiful country will again participate in the Eurovision Song Contest. 8 years ago today I was on the stage during the finals and I still feel the energy I felt that day when I got on stage and saw our beautiful Turkish flag in everyone's hands." "I think TRT will start participating again next year at the Eurovision". She continues by wishing good luck to the artists. "Eurovision?" and "Yine yeni yeniden". The phrase says "Eurovision?" and "again and again". 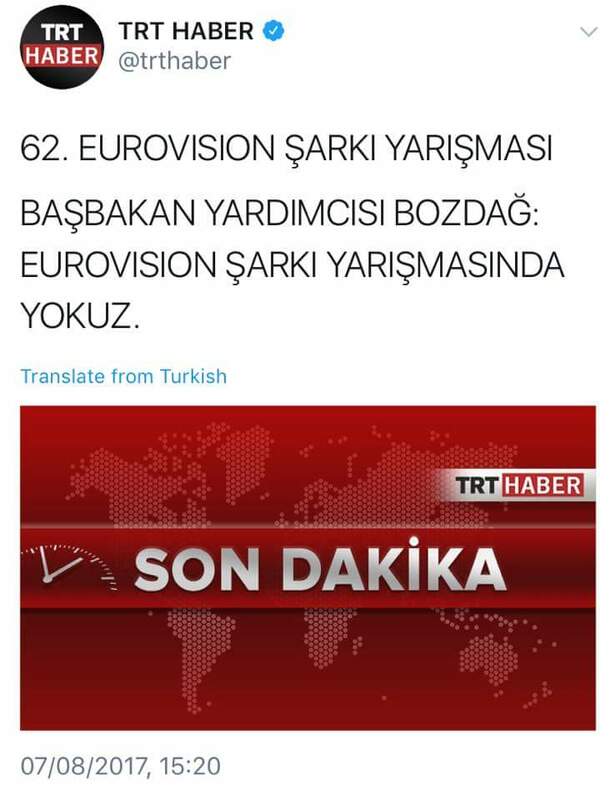 It's still early to say if Turkey will return to Eurovision. The national public broadcaster of Turkey (TRT) hasn't confirmed yet. It means we have to wait for the official announcement whether Turkey returns or not. We hope to see Turkey again for Eurovision because this festival unites Europe. Turkeys last participation was in Eurovision 2012. Turkey 2003: Sertab Erener – "Everyway That I Can"
Turkey appeared in Eurovision in 1975, and has been a part of Eurovision 34 times, almost every year until they decided to withdraw from Eurovision 2013. They won the contest one time, in 2003 where Sertab Erener won with "Everyway That I Can". The last 10 years Turkey had some very good results, and finished in top-5 five times. Since the introductions of semi-finals in 2004, they only failed to qualify to the Grand final once, in 2011.